I was looking for something different to cook for a Christmas luncheon for my kids and their children. 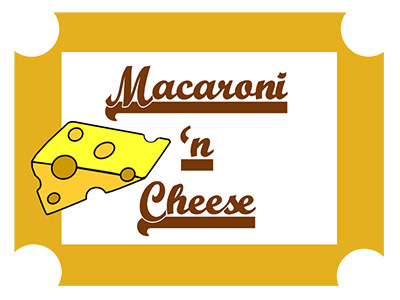 Ree Drummond, my idol, has a great recipe for Macaroni and Cheese on her Pioneer Woman website. This is not your boxed Mac n cheese dish, this is the REAL DEAL. I wonder how many other women are jealous of her? A good-looking, hard-working man and raising children in God’s Country. Who could want for anything more?(Sigh). Here’s the recipe in short form. Check out her site for step-by-step instructions with pictures. Cook 4 cups dried macaroni until it’s very “al dente”. You want it firm because you are going to bake it. Add a good teaspoon or so of salt to the water. In a large saucepan or dutch oven, melt 1/4 cup (1/2 stick OR 4 tablespoons) butter. Sprinkle in an equal amount (4 tablespoons) flour. Then continue cooking for around 5 minutes, whisking constantly. Pour in 2 1/2 cups whole milk or can use 1% or 2%. Immediately dump in 2 heaping teaspoons of dry mustard. Whisk the mixture together and cook for about 5 minutes. It will get extremely thick, almost like a cream gravy. At that point, reduce the heat to low. Use a 1/4 cup measure to retrieve a small amount of the sauce. Begin whisking constantly to avoid cooking the egg. Keep whisking until mixture is cooled. This is called “tempering”: rather than dump the beaten egg into the very hot mixture in the pan—which would result in the eggs scrambling—you introduce some of the hot mixture into the egg. THEN you dump the tempered egg into the pan. And stir together until it’s all melted. Go ahead and turn off the heat. Add about 1/2 teaspoon salt, 1/2 teaspoon seasoned salt. And finally, add plenty of fine ground black pepper. Pour the macaroni into a 2-quart buttered baking dish or a 9 x 13 pan would work just fine. Next, top the dish with the rest of the grated cheese. Bake for about 20 to 25 minutes, until the cheese is melted, bubbly, and golden.